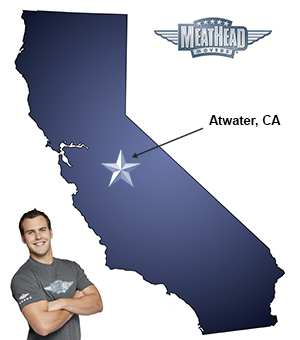 With plenty of moving services, Meathead Movers is fully prepared to make Atwater your new home. Our clean-cut student athlete movers are dedicated to fulfilling all your moving needs efficiently. If you are moving to or from anywhere in Atwater, we are the moving company for you! Our professionally trained student-athlete movers and our moving concierge service are here to help you with every stage of your move. Influenced by its deep agriculture roots, Atwater is a progressive community that has grown and thrived throughout the years. With a growing residential development, commercial investments and business opportunities abound here. The city also has an established food processing, farming, and light manufacturing economy. Your family will enjoy kart racing at Tom Dash Memorial Speedway, and bowling a few frames at Bellevue Bowl. If you’re interested in military history, check out the Castle Air Museum, featuring relics from the Air Force and more. If you are considering a move to the area either for work or to enjoy its relaxed and friendly environment, Meathead Movers is here to help. Our moving company specializes in local, long-distance, and commercial moves. We also provide reliable packing, storage, on-site relocations, and our distinctive moving concierge service, which connects you with local service providers. Moving to Atwater? Here are some helpful resources. I was told we could get everything in the two trucks they brought! They could not so we paid you 3900 to move us and we had to rent a u haul today to get all of the rest of our stuff which was a lot of heavy items and now my husband has to do by himself!! The 6 young men did a great job but the trucks did not fit a lot of our stuff!!! Very disappointed!!!! The guys were awesome! They arrived right on time, were friendly, time effective, and got my heavy elliptical machine upstairs so fast and without complaint! I've already recommended Meathead Movers to a coworker who is moving soon and let my Realtor know to recommend them to future clients! My husband and I truly appreciated the professionalism of our three movers. I received a courtesy call, one hour before their arrival, just as an F.Y.I. that they were going to be at our house at 10 am. When the movers arrived, they introduced themselves, shook our hands, and proceeded to ask what we wanted moved, where we wanted them to start, and if we had any special pieces that needed TLC while being moved. Theo is a true gentleman as are Cody and Tristan. They were so polite and they also treated our two dogs with an awesome kindness. If we ever need anything moved, we will definitely use Meathead Movers and we will request all three of our movers to return to complete our move.